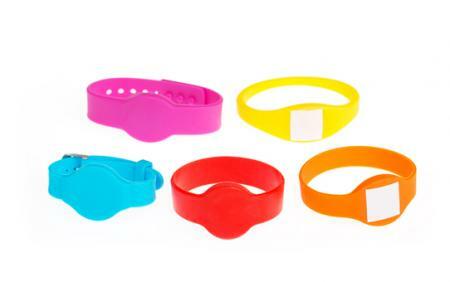 Each silicone wristband has an integrated RFID tag. These are ideal for use in humid conditions or high outdoor temperatures. They have many uses and various services can be integrated such as cashless payments, controlling access to ticket barriers, specific attractions, lockers etc. This ID wristband is ideal for fitness clubs, theme parks, trade shows, conferences, seminars, spas and all types of aquatic complexes.